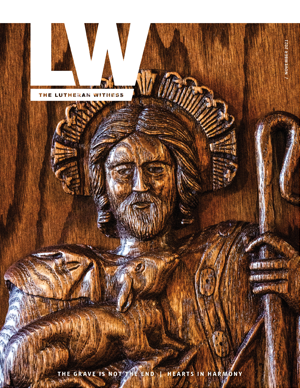 The Lutheran Church—Missouri Synod’s Rural & Small Town Mission supports pastors, professional church workers and lay leaders to meet the challenges of leading Christ-centered outreach in their unique communities. The LCMS hosted its 2018 National Rural & Small Town Mission Conference on Nov. 8-10 in Kansas City, Mo. A recap story from the conference will be posted here once it is available. Rural & Small Town Mission webinars provide LCMS pastors and congregational leaders with practical, relevant ideas for engaging the community with the Gospel. Webinars are typically offered monthly, and archives are available for viewing. Engaging Your Community events can help leaders identify congregational assets and make plans for using resources to engage communities with the Gospel. 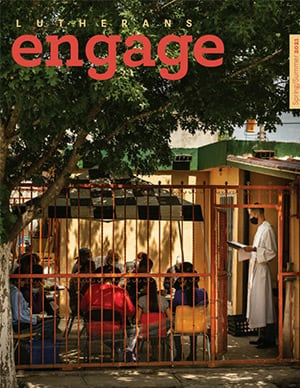 Engaging the Wandering events are designed to assist congregations with practical approaches for engaging and reaching inactive members with the Gospel. Cost per individual is $25. For more information, or to schedule an event in your district, contact Amy Gerdts. The annual conference addresses the blessings and challenges facing rural and small-town congregations, encouraging them and their leaders in cultivating healthy churches. The monthly RSTM newsletter offers suggestions for building, strengthening and supporting congregations. Support Rural & Small Town Mission today! RSTM supports rural and small town congregations because, while the work to which God has called them is the same across the country, the context in which that work is carried out varies from setting to setting. Visit the RSTM Facebook page for the latest news and events.